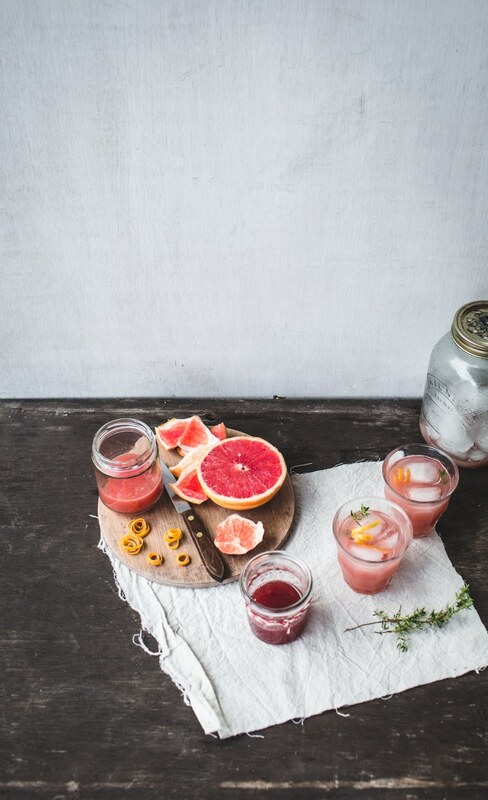 This post includes a recipe for a delicious looking rhubarb, grapefruit & thyme syrup, which is then combined with vodka and grapefruit juice. Doesn't it look delicious? 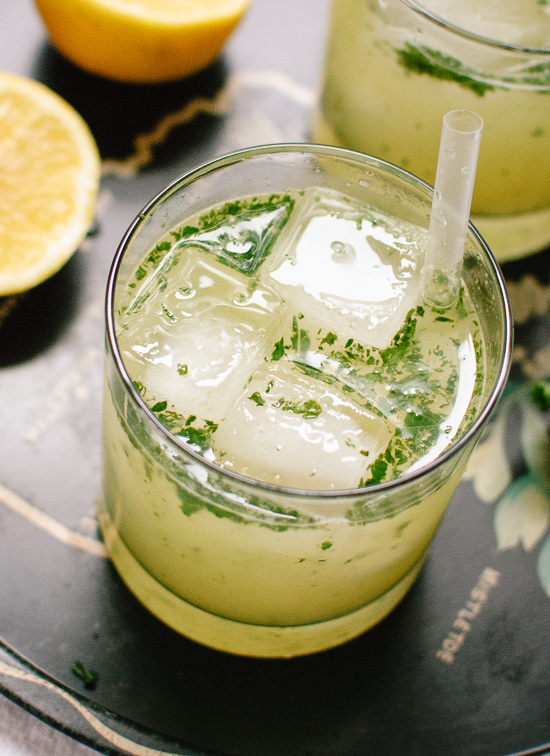 In this recipe, lemon, lime, mint and agave are blended into a Bootleg mix, and then combined with gin & club soda. How could you go wrong? Little flecks of goodness are all up in there. The recipe says you can use vodka, gin or whiskey. I'll bet rum would be a nice choice, too! Remember my White Tulip from a couple weeks ago? Well, if you were intrigued by the idea of egg white cocktails, here's another one for you to add to your To Drink list. Egg whites, Angostura, lime and simple syrup are combined to get this frothy little cocktail. 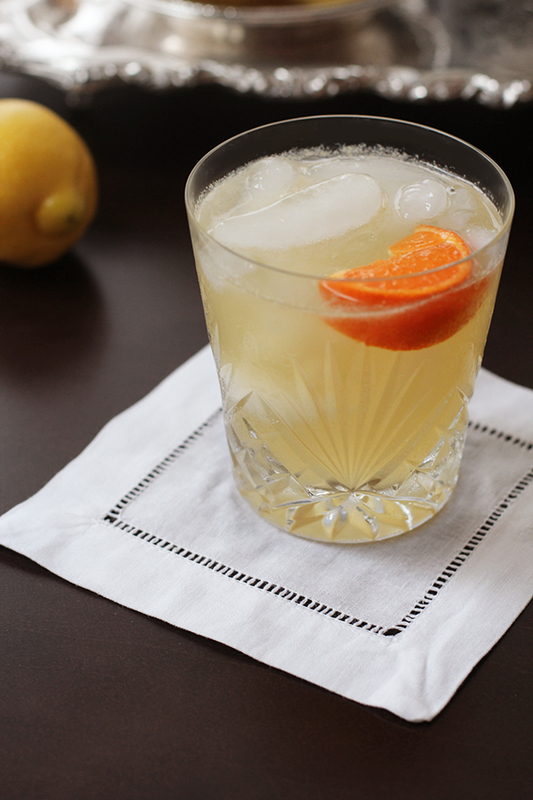 You read that right: Angostura is the only alcohol in this drink. I can't wait to give this one a shot (pun intended). Doesn't that look light & lovely? This one looks perfect for those of us who are moody regardless of the season. I'm jonesing hard for Meyer lemons right now. How good would Meyer lemon juice be in this? SO good. Also: I need some of those adorable cloth cocktail napkins! Spring and Summer in the Pacific Northwest = Cold brew season. Some people never stop drinking the stuff, which is also legit, but I definitely crave a cup of cold brewed coffee more as the ground defrosts. This drink is the manlier counterpart to The Lorelai, and is also right up my alley. Bourbon, coffee, heavy cream, and simple syrup? Yes. Please. Forget Spring, I want one of these right now! Find gorgeous radishes & slice 'em up. Spread a generous amount of high-quality butter onto slices of your favorite baguette. Lay the radish slices on top just so and sprinkle with a good, flaky sea salt. Resist the temptation to stuff them in your face all at once because they are so freaking delicious. Get it in your life.